Crossing the English Channel for the first time is an experience that few of us forget. The sense of perception is sharpened and first impressions, though sometimes misleading, are lasting ones. Despite the attractions of other routes and other forms of travel, over the years the majority have crossed by the Channel Packet from Dover to Calais and hurried off the boat straight into a waiting train which has set off inland with a minimum of delay. Anxiously, excitedly, watching from the carriage windows for his first sight of a French locomotive, many a locomotive "amateur", making his first Channel crossing in the immediate pre- and post-Second World War years, cast his eyes, a few hundred metres from Calais Maritime Station, on an unusual four-coupled vertical boilered machine. Although be probably did not discover its identity until much later (Cail 3952, built in 1924, belonging to the Societe Calaisienne des Pates a Papier) it will soon transpire that the type is not unusual in some countries of Western Europe. 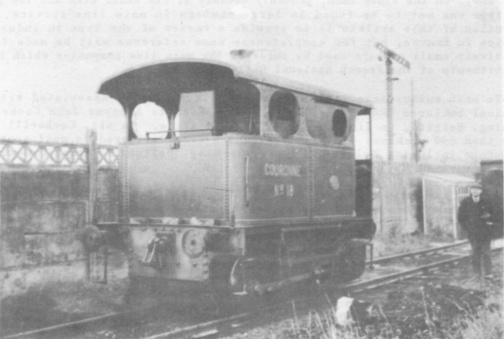 For many industrial firms this was the small standard shunting locomotive, and although four coupled tanks of more conventional (to British eyes:) appearance were to be found, none was as popular as this one. On the other hand, probably because of its small size and low power, the type was not to be found in large numbers in main line service. 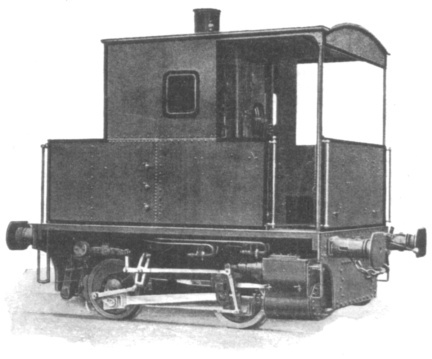 The intention of this article is to provide a review of the type in industrial service in France, but for completeness some reference will be made to the relatively small numbers used by three of the main line companies which became constituents of the French National Railways (S.N.C.F.). 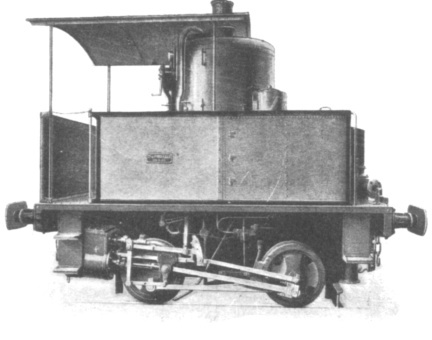 To most enthusiasts the locomotive builder usually associated with the vertical boilered 0−4−0T is Cockerill, or Societe Anonyme John Cockerill, Seraing, Belgium, to give the firm its full title. In all, Cockerill built more than 890 machines of this type, which were delivered to most countries in Europe including Belgium, France, Germany, Holland, Italy. Luxembourg, Poland, Russia, Spain and Sweden. Machines of one or more of the Cockerill types were to be found in all regions of France, but not surprisingly, largely due to its proximity to Belgium, the largest concentration was in the Departements of Nord and Pas-de-Calais. The company which took delivery of the largest number was undoubtedly the Societe des Mues de Lens, P.de C., and more than half of the 34 delivered to them remained in service long enough to pass into the ownership of the Houilleres du Bassin du Nord et du Pas de Calais, Group de Lens - Lievin, when the mines were nationalised after the Second World War. Type 148 800 mm 320 x 360 mm ? ? All went to purchasers in France, mostly in the North and Central regions, and as far as I am aware none is still in service or even in existence. whether "in reserve" or awaiting scrap. Two illustrations from a Fives Lille Sales Catalogue. Upper - Type 137. Lower - Type 148. Fives-Lille were followed in 1906 by their near neighbours, and one time partners, Cail of Demain, also in the Nord Departement. 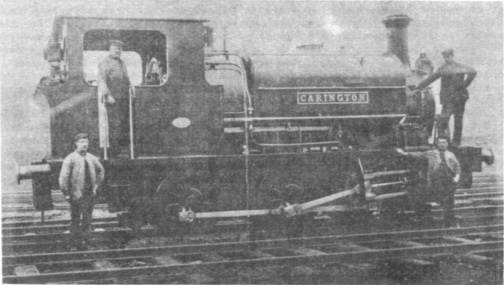 Cail built thirty locomotives in all of the type at present under review. As far as I am aware all were of Cail type 138 with wheels of 615mm diameter and cylinders measuring 270mm x 260mm. They were delivered over a period of 20 years, the last of the series (Works No. 4031) being built for stock in 1926. It was sold circa 1928 to Flond & Cie, Beuvry-les-Orchies, Nord. 29 of the Cail machines were delivered to firms in North and Central France, the sole exception being the very first of the series, Cail 2779 of 1906, which went to Usines l’Escoyer, Tertre, Belgium. A small number are believed to be in existence although not necessarily in service; certainly in the Autumn of 1964 Cail 3828 of 1923 was still in service with Societe Vermandoise de Sucreries, Cartigny, Somme, whilst Cail 3827 of 1923 was awaiting scrap at Sucrerie d’Iwuy, Nord. At least two other Continental locomotive builders introduced types of vertical boilered 0−4−0T but I have mot so far been able to establish full details. In June 1952 John Blyth reported a vertical boilered 0−4−0T in service with S.A. Forges de Leval-Aulnoye, Aulnoye, Nord, which had been built by the Societe Anonyme Energie, Marcinelle, Belgium (Works No. 286 of 1919). It was last seen in June 1961 and may still be in existence, but I have no knowledge of any other representatives of the class. The other firm is L. Corpet of Paris, best known for the many hundreds of metre gauge locomotives built for service on light railways in France, the French Colonies and elsewhere. Some details of the vertical boilered 0−4−0T’s built by them are given in the ensuing paragraphs. Nord 2.001 Fives-Lille No. 2197 of 1878. Nord 2.002-6 Fives-Lille Nos. 2305-9 of 1880. Nord 2.007-18 Franco Belge of 1881-83. Nord 2.019-24 La Chapelle Works, Paris. Ouest M.1 - M.3 Corpet Nos. 460-2 of 1886. 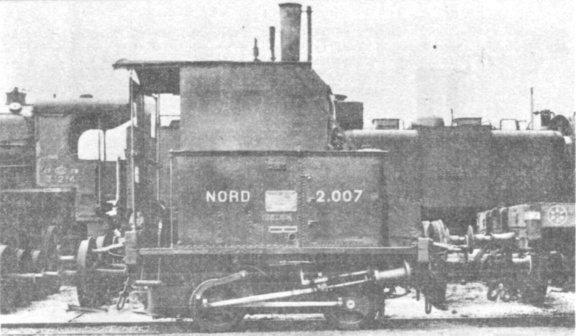 Nord 2.001-6 were Fives-Lille type 91 of which details are given above. The works numbers of 2.007-18 are uncertain. They have been given by one Continental source as Franco Belge 361-72, 383, 406 and 479-80, but these exceed the running numbers. Another source gives them as Franco Belge 373, 383-93 and this certainly appears more likely. At least three survived to enter S.N.C.F. stock as (2) 020 TA 001-003 (ex:- ?, 2.014 and 2.024 respectively). The latter two were withdrawn on 16/6/45 and sold on 27/7/46 to Salosse Desmetta, Tourcoing, Nord. Their subsequent history is not known; they may even have been sold for scrap although there is no evidence of this. Ouest M.1 - M.3 did not survive to enter S.N.C.F. stock but P.L.M. 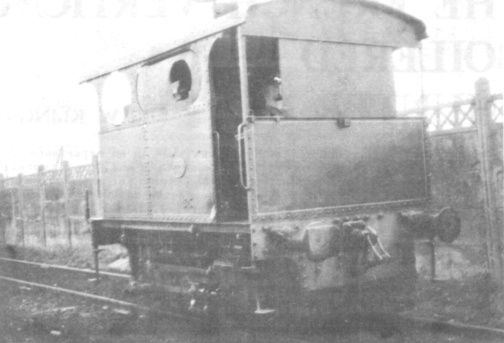 7004−5, which were shunters at Oullins Works, became S.N.C.F. (5) 020 TA 4 and 5. They had cylinders measuring 9" x 14" and weighed 31 American tons. Western Railway of France No. M.2 at Le Mans 22nd March 1919. 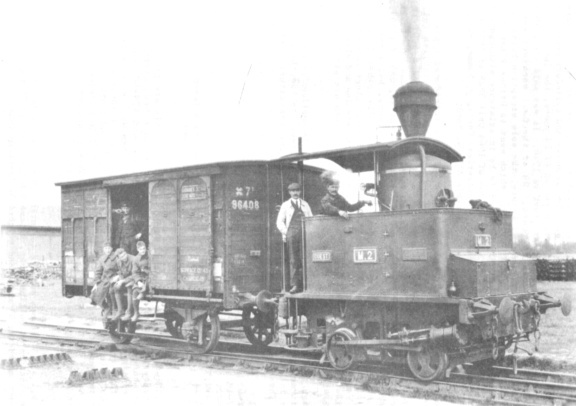 This locomotive was constructed by L.Corpet in 1886.
was used by a French Main Line Railway. photographed at Boulogne in July 1931. In the space of a short article it is obviously not practicable to give details of all the firms to whom the 360 or so locomotives of this type were delivered. Eight owners have already been mentioned; it may not be inappropriate before closing to refer to two machines which have resisted attempts at positive identification. It is an unfortunate fact that many locomotives are seen all too often from passing trains and that with the sparse services on many lines, few enthusiasts stop off to pursue researches, knowing that it may be hours before they can get on their way again. So it was with Societe des Sucreries du Marquenterre, Sucrerie de Rang-du-Fliers, P. de C. On numerous occasions between 1959 and 1961 members reported seeing a vertical boilered 0−4−0T from a passing train. Noel Needle described it as "not at all like a Cockerill and with a distinctive cab". When at last the Rang-du-Fliers sugar factory was visited in 1963, this locomotive had gone. Certainly two other interesting steamers provided compensation, whilst the management reported the vertical boilered engine as a Franco-Belge of 1882 - no other data was, however, available. This raises the question, was she one of the Nord engines which had been sold out of service? If so, when? None of the Nord engines remained in service much after the middle 1940’s. If she was an ex−Nord machine, where had she been in the meantime? Another member of the type which is something of a mystery belongs to S.A. Lesaffre Freres, Sucrerie de Nangis, S. et M. Purchased from Brunner and Marchand, Locomotive Dealers etc., of Bouray, S. et O., in 1929, she is described as a Cockerill of 1892. I have not seen or examined the locomotive personally but understand that no identifying numbers are stamped on the motion, I have, however, examined Brunner and Marchand’s records which, although normally comprehensive, do not in this instance give the Works Number. They show that the locomotive was purchased in March 1928 from the S.A. de Constructions des Batignolles, Paris. No Cockerills were delivered new to this firm in 1892 or in any other year, so once again where had the machine been in the meantime? 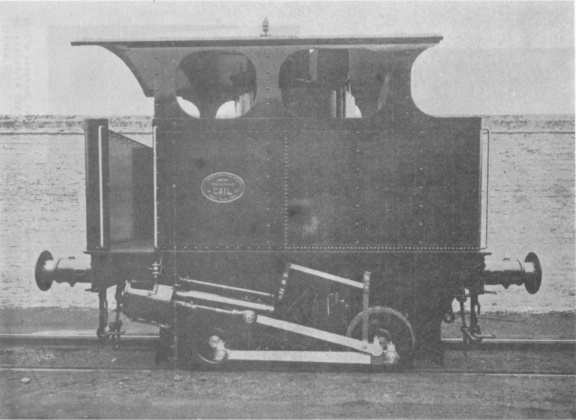 The foregoing notes relate entirely to standard gauge locomotives; in addition at least two metre gauge vertical boilered 0−4−0T’s have been in service in France. 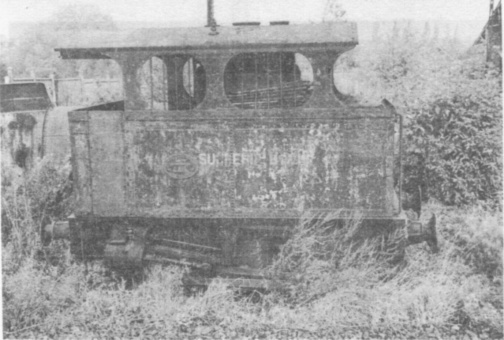 One is a machine called LE COUCOU owned by Societe des Forges de Gueugnon, S. et L. She was purchased in 1908, the previous owner being unknown, and was still in service in 1962. She is alleged to be Cockerill 1493 of about 1887, but the Cockerill works list reads "1491−6. Tank locos. ordered by Messrs Portale et Cie., Paris, for Argentine." This information comes largely from the Federation des Amis des Chemins de Fer Secondaires in Paris, and I believe that preservation of this locomotive was under active consideration although I have heard no mention of it recently. Details of the other metre gauge locomotive of this type are even more vague. I have a copy of a profusely illustrated French publication "Histoire de la Locomotion Terrestre - Les Chemins de Fer". 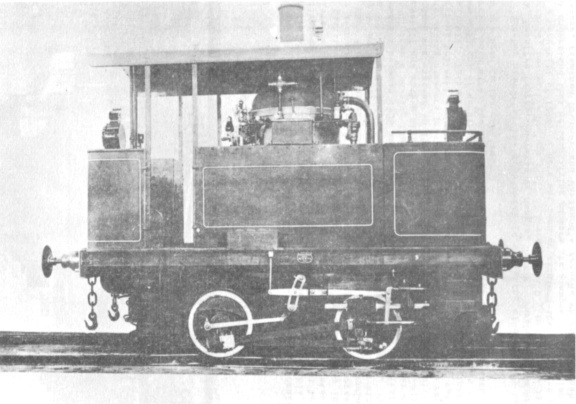 On page 246 there is a photograph of a vertical boilered 0−4−2T which is described as a metre gauge shunting locomotive built by Corpet in 1886. The Corpet works list enumerates several four-coupled metre gauge locomotives built that year, but does not indicate which, if any, had a vertical boiler. In conclusion may I express my gratitude to John Blyth, C.H. Dickson, H.L. Goldsmith, Geoff. Moore, John Morley, Noel Needle, and other members for their help and for the information which they have supplied, and also to C.G. Down for the excellent drawing of the Cockerill locomotive. 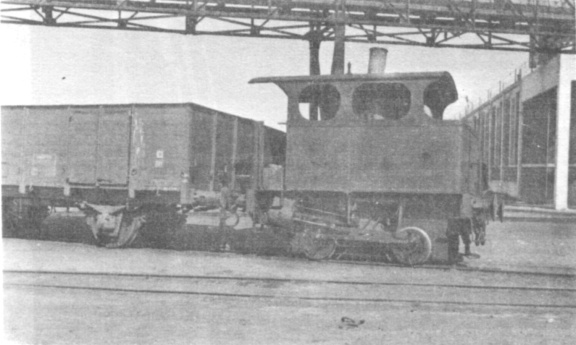 This locomotive is referred to in the article on page 184.